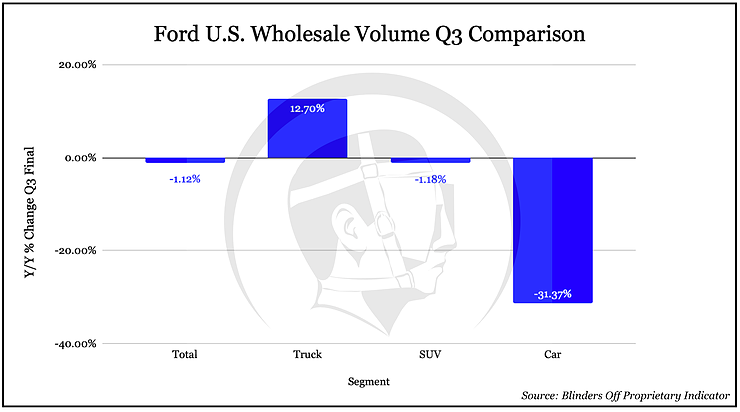 This is a follow-up to my recent Used Car and Truck CPI article. 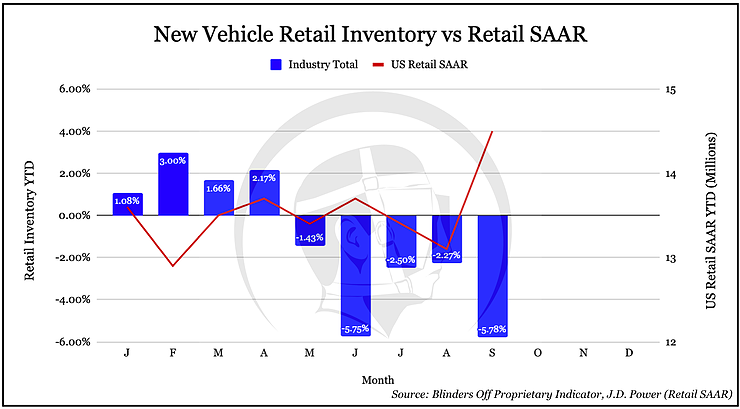 The reason for the almost immediate follow-up is because new vehicle inventories are increasing at an alarming rate. To illustrate this, consider the chart below which I used during a webcast presentation in early September. On September 5th 2018, new-vehicle inventory levels were 5.78% lower than on January 1st 2018. In the span of 6 short weeks, the entire inventory draw has disappeared. As of today October 19th 2018, new-vehicle inventory levels are .23% higher than on January 1st 2018 (Most of the increase has taken place in October). Please keep in mind that what I’m sharing today is a concern for Q4 and beyond. 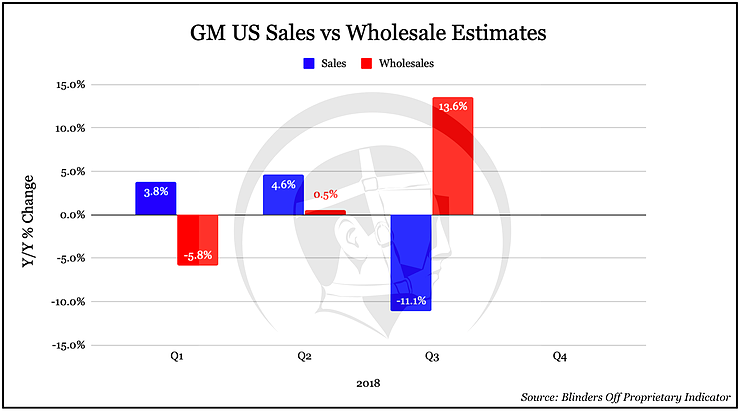 Most auto manufacturers report earnings in the next two weeks and the increase in production plus decrease in incentive spending observed in Q3 should translate into strong y/y comps.